Montreal, QC and Moorestown, NJ –OPEX Corporation and INTEGRIM Inc. have entered into a Reseller Agreement that provides the opportunity for the Montreal, QE based provider to re-sell OPEX scanning products. This relationship will allow INTEGRIM to offer their customers a unique prep-reducing solution to simplify document capture needs. Prepping documents by hand for scanning, is costly and inefficient, as is manual data entry, paper-based routing and hunting for misplaced documents. With OPEX Document Scanning Workstations, one operator can remove documents from envelopes or file folders and scan in one step. This significantly reduces those manually intensive and time consuming document prep steps to quickly convert paper documents to digital images. Once converted, documents are seamlessly passed to INTEGRIM ECM solutions where data is extracted and documents are systematically routed to decision makers in a more timely and secure process. For over 20 years, INTEGRIM has been Canada’s leader in the development and integration of ECM systems. Established in Montreal with specialized resources in Quebec and Toronto, INTEGRIM has been helping organizations to increase their productivity and efficiency by simplifying and automating business processes. Visit www.integrim.com for more information. 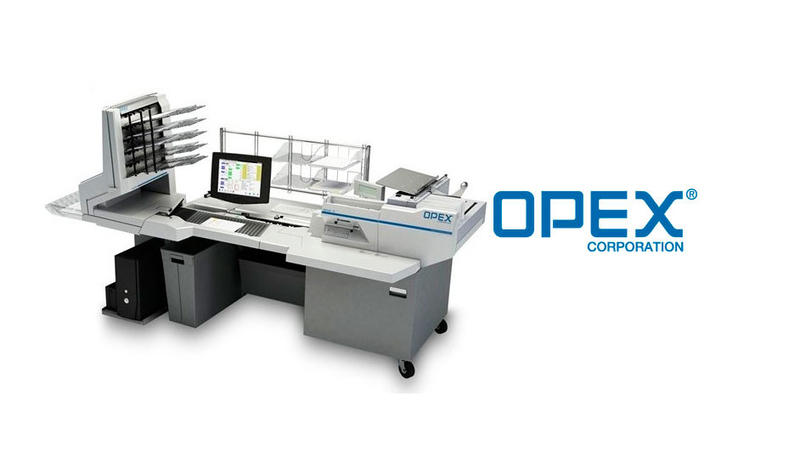 OPEX Corporation is a recognized global technology leader in document imaging and high-speed mailroom automation. Since 1973, OPEX systems have provided performance enhancing workflow solutions and cost-effective results to thousands of organizations worldwide. Today, OPEX systems are installed in financial services, healthcare, government, non-profit, utility, service bureau, insurance, telecommunications, and university/educational marketplaces around the world. For more information, visit www.opex.com.